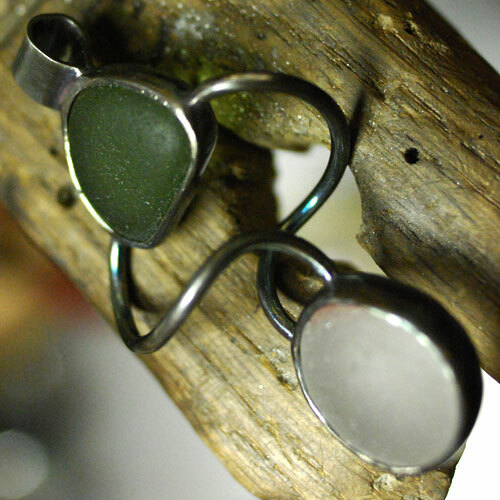 This sea glass pendant presents a pair of Santa Cruz sea glass set in a sterling silver backless bezels that I fabricated. They are attach to each other in a twist of sterling silver. I then hammer the bezels down to capture the seaglass. Pendant measures 50mm x 27mm and comes with an 18 inch sterling silver chain and clasp.